A 20-MONTH public health bungle has resulted in little Scarlett Godden's parents being forced to urgently fundraise to pay for surgery to preserve her sight. 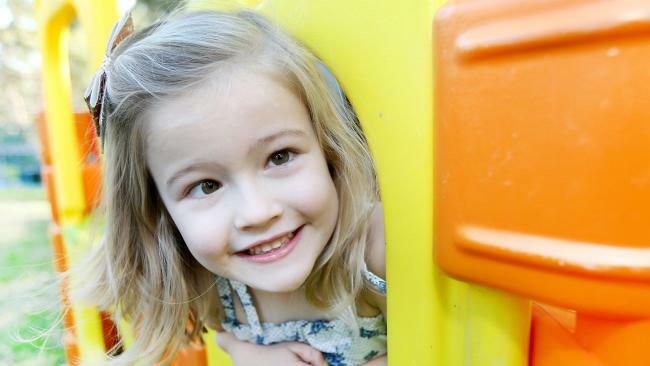 Having been referred to Lady Cilento Children's Hospital for an appointment almost two years ago, the family was this week shattered to learn the five-year-old was never actually placed on a waiting list. The revelation only came to light when the Gold Coast Bulletin made inquiries about the apparent delay and despite her mother phoning the hospital more than a year ago to check when she'd be seen. Having monitored a rapid decline in Scarlett's esotropia ('turned eyes') in recent months, a private specialist has now told her Bonogin parents their eldest daughter risks permanent damage without surgery. "When we noticed her eyes were starting to turn quite rapidly, we decided to pay to go private because we had been waiting so long for a public appointment," Nikita Godden said.